President Dmitry Medvedev has submitted a bill to the lower house, pressing for large-scale fines for bribery and corrupt business practices. ­The draft law amends the Criminal Code and the Code of Administrative Offences. 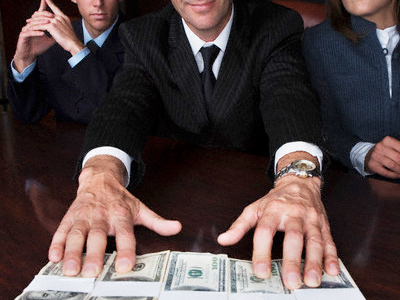 If enacted, any offer or acceptance of a bribe or mediation in bribery would make an individual liable for fines 100 times more than the bribe itself, but limiting it to not more than 500 million rubles (17 million dollars). 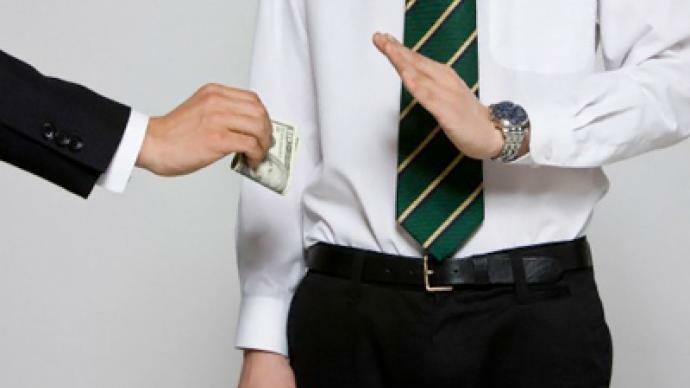 Another amendment to the Code of Administrative Offences in the bill implies legal assistance for individuals and legal entities being prosecuted on bribery charges in other countires. The government and the Supreme Court earlier pledged support for the initiative, which they say will boost the efficiency of anti-corruption activities. 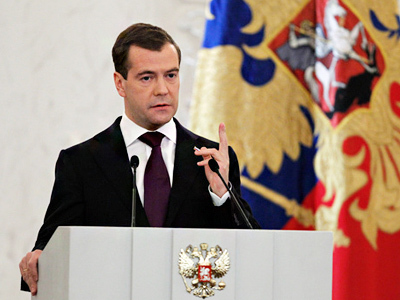 Combatting corruption has been one of Dmitry Medvedev’s priorities since he took office. He started the campaign in 2008 by signing a law obliging officials, including the prime minister, deputy prime ministers and ministers, to report not only their own incomes but also those of their family members – spouses and children. He also set up a new Anti-Corruption Council, an advisory body made up of government and presidential administration members and prominent public figures. Last year, however, Medvedev acknowledged that fight against corruption has not born much fruit. Last June, he signed a special decree establishing priorities in enforcing the Law against Corruption, namely pushing for more thorough checks of officials’ incomes. The president also believes members of the public should be more actively involved in anti-corruption activities. During a meeting of the Anti-Corruption Council last month, he said a report on anti-corruption activities by federal and regional government bodies should be made public. He also said that citizens’ initiatives on these issues are very much welcome and should be closely considered. 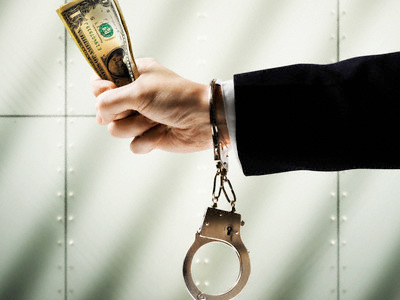 According to the Interior Ministry, in 2010 the average bribe in Russia rose by a third compared to 2009 reaching 30,500 rubles (about US$1,000).The amount is a little less than a state official’s average monthly salary, which is about 35,300 rubles.